Highlanders Football Club will next year turn 90 Years old. Bosso as it affectionally known by its maltitudes of fans is Zimbabwe’s oldest club formed in 1926. In the 19th century- Colonialists decided to placate the Ndebele King Lobengula with a proposal to send his grand sons to study in the Cape Province in South Africa. The names of the two grandsons were Albert and Rhodes who were sons of Njube. 1926 – The two brothers returned from South Africa where Albert had completed studies in agriculture at Tsolo Agricultural School and Rhodes completed studies in book-keeping at Lovedale Institute. Both had taken to football as extra mural activities. Rhodes continued playing soccer and formed a team called the Lions Football Club, composed mainly of boys born in Makokoba (Bulawayo’s oldest township). 1936 – the players changed the name to Matebeleland Highlanders Football Club. 1966 – the Rhodesia National Football League (RNFL) asked Highlanders to join them. The agreed and two years later was drafted into the 2nd Division. Highlanders finished top on their first year and were promoted to Division One. Bosso. Who can you identify in this picture? 1970 – the team was in the Super League, but after collecting just 7 points, they were relegated back to the First Division but were back in the top flight again a year later in 1971. 1972 – a British export joined the side, Tony McIlveen, from Northern Ireland. Tony had previous experience playing semi-professionally for Irish League side Crusaders, and whilst not known for his height, his tenacity as a midfield dynamo was an added bonus to the vastly improving side. 1973 – Highlanders FC won the Chibuku Trophy, beating high profile Mangula at Rufaro Stadium. Players who clinched the honours included Ananias Dube, Billy Sibanda, Kenny Ngulube, Edward Dzowa, Andrew Jele, Tommy Masuku, Lawrence Phiri, Josiah Nxumalo, Geoffrey Mpofu, Boet Van As, Tymon Mabaleka, Gavin Dubely, Bruce Grobbelaar, Barry Daka, Tony McIlveen and others. 1976 – Highlanders got dissatisfied with the national administration led by Mr. John Madzima and pulled out of the RNFL and formed the South Zone Soccer League (SZSL). Some disgruntled senior members of the team broke away from Highlanders to form their own club, Olympics. They even took the Black&White strip. But highlanders survived. The teams that formed the nucleus of the SZSL were Black Chiefs, Callies, Portuguese, Old Miltonians and Highlanders (all from Byo. ), Black Horrors (Plumtree), Ramblers (Gwanda), and Go Beer Rovers (Gwelo). 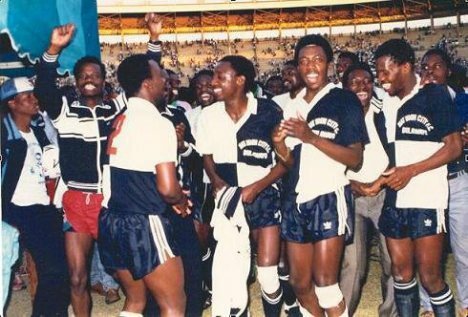 1979 – most Harare-based clubs saw the wisdom of Highlanders’ decision and lent their support to the club against the injusticies of the national association, i.e. unfair gate takings distribution, improper methods of accounting of finances, and that certain teams were being favoured. The National Professional Soccer League (NPSL) was then formed as a result. 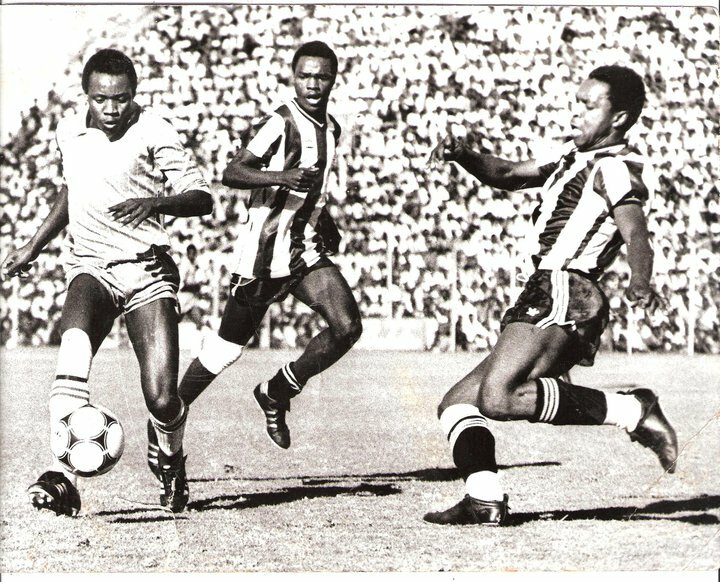 1980 – NPSL and the RNFL were merged to form Zimbabwe Football Association (ZIFA). 1986 – a group of senior players left after falling out with the executive over money. Apprentices were upgraded to the senior team. 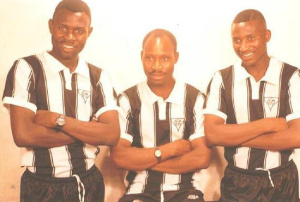 Players who included the likes of Rahman Gumbo, Mercedes Sibanda, Willard “Nduuuna” Mashinkila-Khumalo, Madinda Ndlovu, Dumisani Ngulube and many others. In Zimbabwe players from Highlanders who have played at the highest level of professional football in the world include players like Peter Ndlovu, Bruce Grobelaar among others. Highlanders is the second most supported club in Zimbabwe with over a million supporters. Previous articleDr Tawanda a performer par excellence!